Through the chill of winter or the heat of summer, the convenience of starting your vehicle from the comfort of your home or office is so addictive, you’ll never want to be without one again! 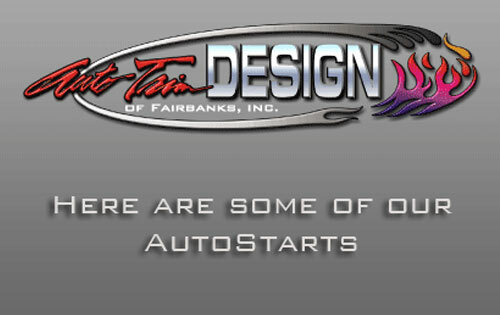 Auto Trim Design of Fairbanks has a variety of models to choose from and several installation professionals within our shop crew. Call or come by for your free estimate today. Get it done right! Trust the installation experts at Auto Trim Design to do the job right. Not only have we installed thousands of AutoStarts, but we back up our workmanship as long as you own that vehicle. Learn about our Automatic Idle Reduction System below. Q: What is an autostart? A: It is a device that allows you to start your car remotely from as far as 3 miles away or further if you have us install a smartphone start system. Q: Holy Shnikies, did you just say that I can start my rig with my smartphone? What kind of unearthly magic is that? 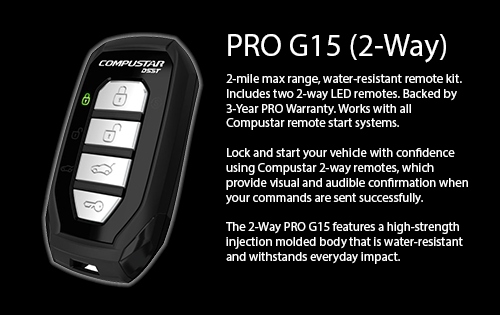 A: It requires us to install a module along with the autostart that receives a cellular data signal from your smartphone to start, stop, lock, and unlock your vehicle. There will be an annual fee of $50+ from the app provider for this service, more if you get the advanced features like tracking, geo fence, alarm response, etc. The trick to these systems is that there has to be a cellular data signal in 3g, 4g, or LTE for it to work. The 1g/2g data systems are being culled in 2016 for Alaska. 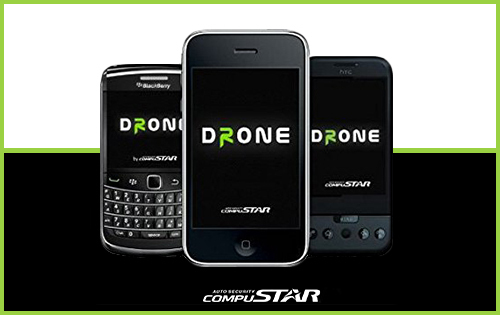 If you have an older Smartstart or Drone smartphone start system it will need to be updated and the manufacturers should be contacting you about this. Q: Can an autostart be installed on any vehicle? A: Almost all passenger vehicles with fuel (diesel or gas) injection. A very few (almost all 2002+ Mercedes, several BMW cars, some Volvos, some Landrovers, a couple Lexus, and a few others) have ignition systems that will not allow an autostart or they require the use of, what we have found to be, extremely unreliable interfaces when it gets really cold! Q: I have one of those new fangled PTS/proximity key ignitions that has no key and I have to carry around this little box about the size of a Tic Tac container for my rig to run. Can you install an autostart in one of those? A: Yes, the operation is a bit different from a twist key ignition system and how that varies differs from vehicle manufacturer to vehicle manufacturer. Q: I have a new hybrid car. 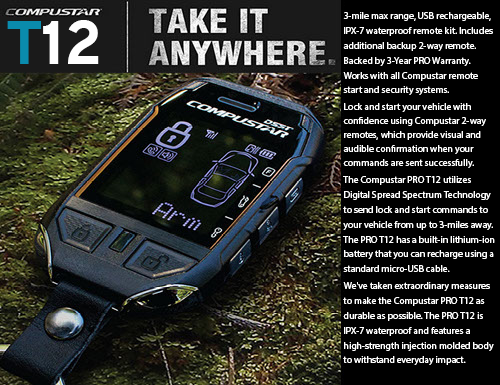 Can you install an autostart in it? A: We have not run across a normal hybrid that we couldn’t install an autostart in as of yet. The one thing you have to remember is to keep the heater turned on so the gas motor will begin trying to provide heat to the passenger compartment when the vehicle is started. That said, hybrids are tricky cars/trucks in which to install anything electrical. We have probably installed more autostarts in hybrids than any single point autostart install center in the world. In the beginning, we had to create our own install data sheets because almost all the wiring diagrams were partially incorrect as the auto manufacturers of these cars were (and still are) in a state of running electrical design changes during the manufacturing process. Consequently, every wire we attach to needs to be tested in a manner that doesn’t affect the hybrids electrical system prior to the autostart’s install. One mistake could be very, very expensive. To date, only senior installers are allowed to install an autostart on a hybrid and all installs are checked by our shop foreman or lead installer. Q: It seems you take a lot of precautions with the hybrids, what about my normal gas car or truck? Does it get turned over to the shop moron? Q: When I bought my vehicle the dealer told me that adding an autostart would void my warranty unless it was installed by the dealer. Is this true? A: ABSOLUTELY NOT! Your right to add accessories to your vehicle is protected by the Moss Magnusson Act of 1975 which is a federal law. Basically, it states that the vehicle manufacturer only has the right to deny warranty if they can prove beyond any doubt that the aftermarket product was the absolute and fundamental cause of the problem with your vehicle. Any deviation from this act allows you to seek remedy in a court of law. That said, if it can be demonstrated beyond any doubt and in a legally defensible manner that the aftermarket accessory or installation was indeed the root cause of the problem with your vehicle, your only hope is have dealt with a reputable installation center such as we are, and have been since 1984. Q: So, what is your warranty? A: Sure, we can install in diesels. Some trucks (but not many) do not have a decent tach signal and will require a DTS or diesel tach sensor. They work well, but only have a 2-4 year life span and the DTS module (about $125) comes with a 1 year warranty. Diesels can also be programmed to run for as long as 35-45 min. at a time. Where a normal gas vehicle’s run time on autostart is 18-25 min. Yes, the system will do a “glow plug cycle” prior to start. Q: What about manual transmission vehicles? A: We can install autostarts on most manual transmission vehicles. It will require more driver participation to operate this autostart, but the benefits are more than worth it. Q: What is this new SST technology I’ve been hearing about? A: As you are probably aware, wireless technology is exploding. The FCC, mired in bureaucracy, has been caught with “their knickers down” while China floods us with wireless devices all vying for the same frequency that the autostarts are using. Years ago we hired an engineer from Québec to fly up here with all sorts of fancy computers, antennas, and RFI tracking river otters (okay, I’m kidding about the otters) to test a “dead area” we weren’t able to figure out and fix the problem. After several days of testing, it turned out to be a local nightclub’s remote control disco ball that was transmitting at least 100 times more than FCC the allowable power which was blanketing the area with RFI. We unplugged the ball, talked to the club owner and now people can again use their autostarts within that area. Granted most autostart and alarm manufacturers are much higher tech than your kid’s remote control puppy, still it’s getting very crowded. The SST units basically “shotguns” 3-5 different frequencies at once and use the strongest signal to “punch through” in that area. These units can exceed several miles in range under best conditions and are well worth the money as a long term investment in a wacky wireless world. Q: I work in a windowless building lined with lead and kryptonite, will this affect my autostarts range? A: Yes, the rated range on an autostart is optimal (read as: perfect conditions). Inside most buildings you can expect to lose about 75% of the rated range. Standing under power pole transformers, near cell sites, radio/TV towers, and other forms of radiated interference will also limit your range. If you work in the Radiology/Imaging center of a medical center the walls are (or should be) shielded and you will have to step away from that area to use the auto start. If you believe your building is lined with kryptonite you should probably seek professional help. Q: Does extremely cold weather affect the autostart? A: Yes. Range of the Astrostart autostarts can be affected by 50-60% at -40F. Q: 50%-60%, yikes! That seems like a lot. A: It is. However we have, in test, 3-4 different manufactures autostarts at any given time. 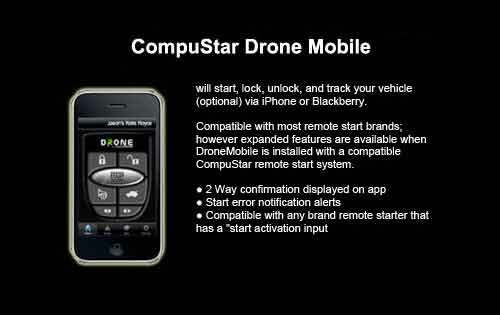 This allows us to keep on top of current technology, features, and practical operation in the field. 50-60% loss at forty below is minimal compared to any other brand we have tested. One of the test units actually required the technician to touch the remote to the vehicle antenna for operation at -35 F.
Q: Can I leave my vehicle plugged in while operating the autostart? A: As long as your vehicle uses a block heater, not a tank or percolating heater, it should be no problem. Q: Now that winter has arrived my brand new vehicle’s battery seems low. Once I added the autostart/remote start, the battery seems to get lower faster. A: Compared to vehicles built only a few years back, new vehicles have a significant current draw even while parked because most of the systems are computer controlled and those computers need power so they don’t “forget” their functions. For instance, it used to be that if you had electric windows when you operated the window switch it sent power to the window motor which rolled the window up or down. In most new vehicles when you operate the window switch it sends a multiplex signal to the window control module which processes the signal and sends another signal to the body control module which processes that signal and sends voltage to the window for it to roll up or down….unless the “interference sensor” detects resistance (like your latest lumber purchase hanging out the window) while rolling the window up, at which point it will roll the window back down, thus insuring that you have no unnecessary dings in your 2×4. 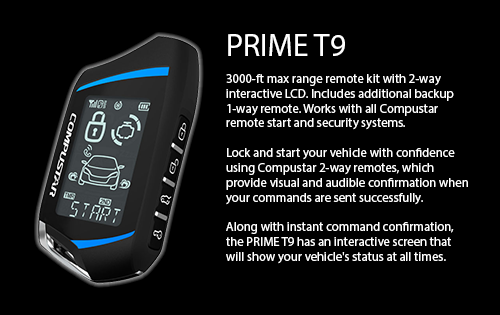 Also, technology exists in many new vehicles that allows the manufacturer to “wake up” the vehicle electronics remotely for wireless updates to the vehicle’s data bank at their whim. I’ll let your conspiracy theory paranoia intervene for a moment here while you ponder this. Done? OK, let’s get on with this. Most new vehicles have a 20-35ma current draw when parked. This means at 60f your battery could be to a point where it doesn’t have enough power to start the vehicle in about 3-4 weeks of being parked. 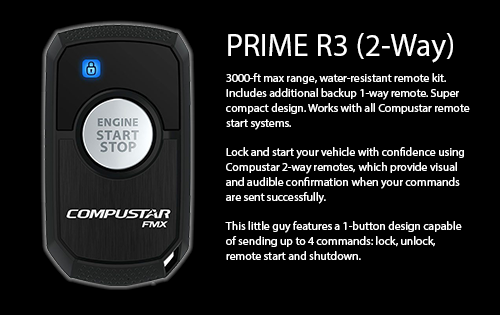 To install an autostart/remote start these days we need to install an interface module that “speaks” the same computer language as your vehicle. These modules coupled with the autostart will draw an additional 20-30ma. So, the electrical draw has increased and consequently the battery draws down faster. To compound this a car battery works at only 50% of its rated output at -22f and it takes roughly 20 minutes of run time just to recoup from the energy used to start the vehicle. Take into consideration that we usually drive our vehicles during the winter with the heater, headlights, and rear defrosters operating which reduces the charging capacity of your alternator, and you will be lucky if you get a full charge back on the battery unless you are running your car for 30-40 minutes. Fortunately, when your vehicle is running on the autostart it is also charging the battery. Not as fast as driving will charge the battery, but it is still charging the battery assuming your electrical system is in good working order. The best way we have seen to combat the electrical theft problem in today’s computer controlled vehicles is to have a 900ma to 1200ma “smart charger” installed in your vehicle either in addition to or as an alternative to a battery warming plate/blanket as part of your winterization. A “smart charger/pulse charger/battery tender” will monitor the charge on the battery and turn on or off as needed. Your battery will be kept at full charge and you will not need to worry about overcharging and damaging the battery like the old style chargers. Also, a charging battery creates its own heat which negates the need for a battery blanket and the additional current draw is so insignificant you won’t see a noticeable difference in your electrical bill. They cost in the area of $50 and you can install it, we can install it, or your mechanic can install one. Yes, if we install one there will be a labor charge. Q: Does it cost the same amount for the same model autostart in any vehicle? A: No. For the last several years different manufacturers have been using an assortment of ignition and vehicle security systems. To circumvent these systems requires the use of bypass modules, relays, multiplex interface modules, programming of different keys, and more. The level of security/difficulty and extra parts required (if any) in your vehicle plays a part in the autostart pricing. That said, at this point, most of the vehicles out there use the same module with different programming for different vehicles. Q: My next door neighbor has installed his own headlights and radar detector, can he install my autostart? A: Would you let them argue in court on your behalf because they once were on a jury? 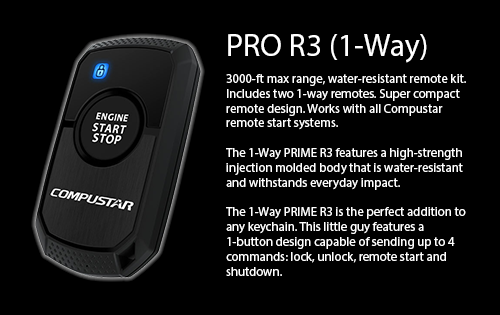 Seriously, incorrectly installing an autostart can be very expensive in today’s world of computer controlled vehicle electronics…. we know, we fix 2-3 owner/buddy installed units per month at current shop rates. We warranty our installations through our store for as long as you are the original owner of your car. Q: How do I know what it will cost to install an autostart in my vehicle?